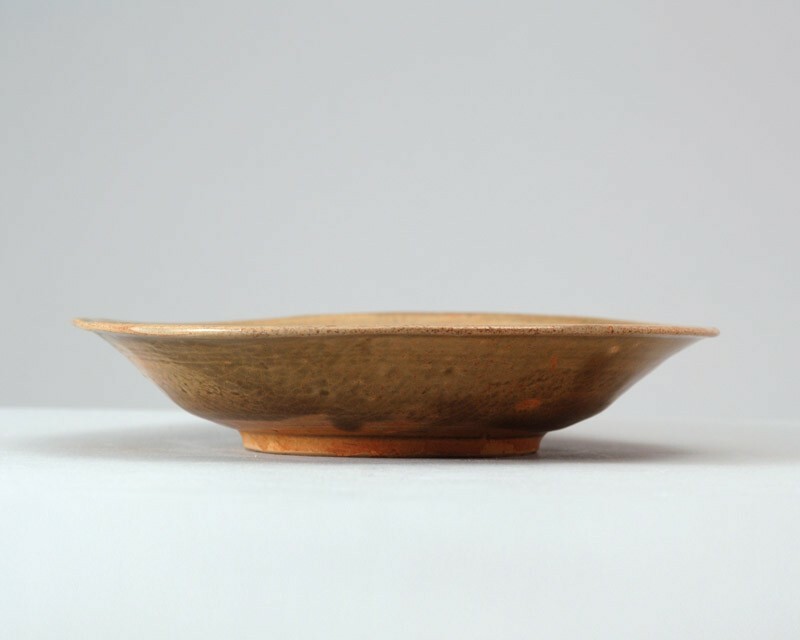 The dish has shallow rounded sides and a flared rim with five shallow cut-outs. It stands on a thin, low foot. The grey stoneware bears a yellowish-green glaze with reddish discoloration. The piece was fired standing on five spurs which left marks on the base. The base shows concentric trimming lines, the sides are warped.